General TV Channel / Sigma TV is a commercial network in Cyprus that commenced broadcasting on April 3, 1995. It is a private service and is currently the first-rated channel in Cyprus. Sigma TV is geared at a younger audience, with the focus on the 18-45 age group. It broadcasts a mix of original programmes as well as popular foreign programming. Sigma is a general entertainment station with programming that includes Children's shows, sports, news, movies, series and popular Telenovelas from Latin America. 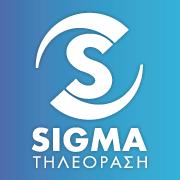 Sigma TV had an affiliation agreement with Alpha TV from Greece from January 2010-January 2016. Prior to this agreement, the channel also had affiliations with Star Channel and MAD TV. In addition, it has secured programming deals with major studios from the U.S. and around the world.